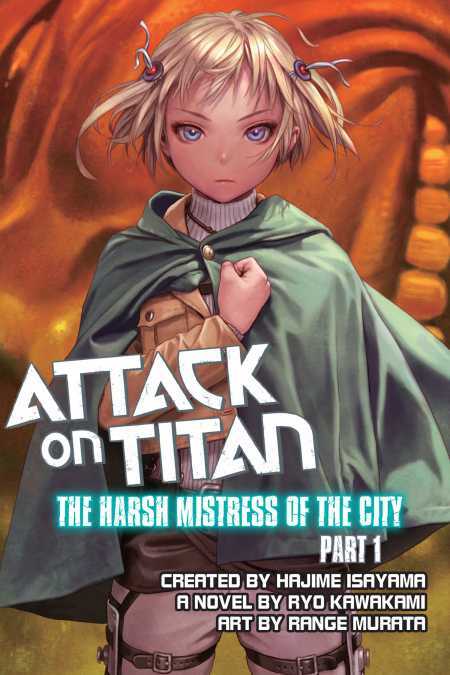 An Attack on Titan side story in light-novel form—detailing in two volumes the fate of the Quinta District after Wall Maria is breached. With Wall Maria breeched, communities within the Quinta district have been cut off from each other creating famine and chaos. A young field commander named Rita is tasked with a mission to reconnect transit across the massive district while putting her troops and residence right in the vanguard as Titans descend on her town.